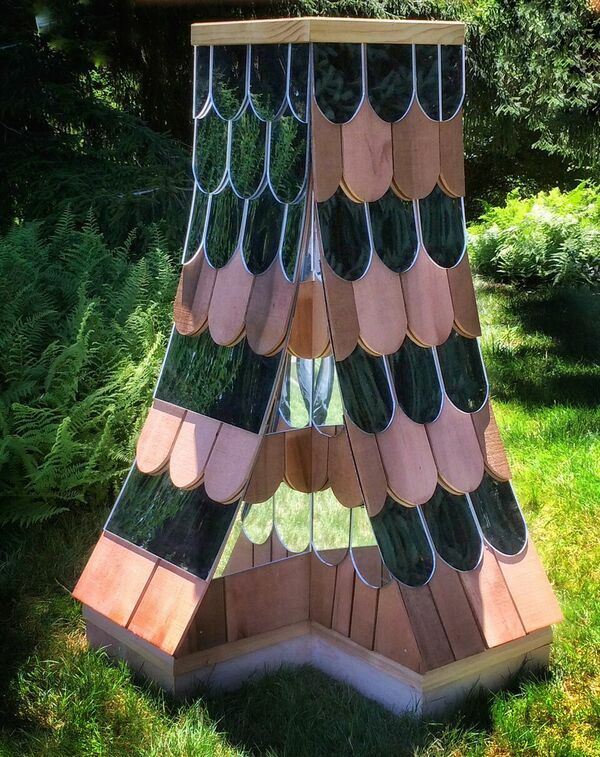 Something is brewing in the Winterthur Garden as is evident by a strange mirrored structure at the edge of the Pinetum. Follies. This may not be a word used much in the American lexicon but you probably know the concept. The following definition about sums it up: Architecture. A whimsical or extravagant structure built to serve as a conversation piece, lend interest to a view, commemorate a person or event, etc. : found especially in England in the 18th century. If you have traveled to England, you cannot shake a stick without coming across a folly of sorts; a tower, Greek-inspired pavilions and temples, bridges & Gothic inspired architecture to name just a few examples. 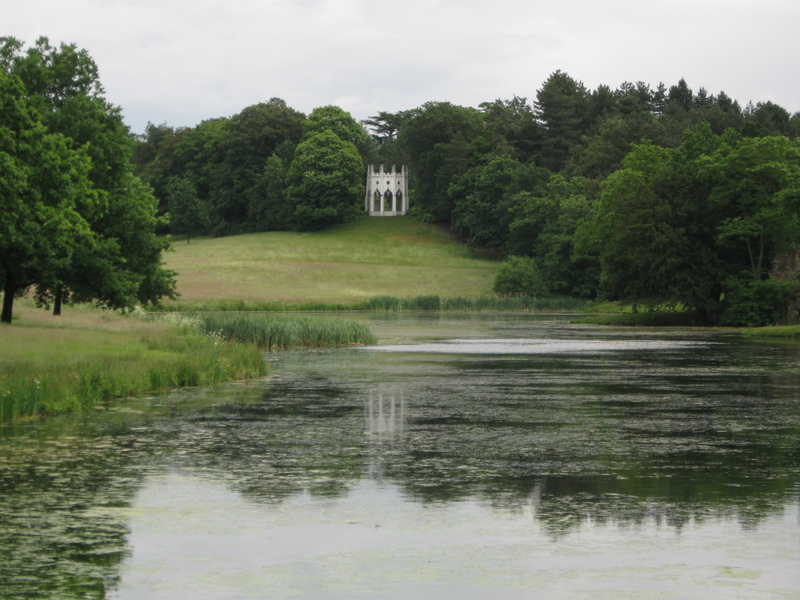 Gardens such as Stourhead, Painshill and Stowe, referred to as Landscape Gardens, specifically feature folly. Designed around lakes, these gardens offer idyllic views to beautiful and exotic pieces of architecture artfully placed into the landscape. Once you have arrived to each feature, you are then treated to the views, often to the next folly to visit, sites already visited or just beautiful vistas. 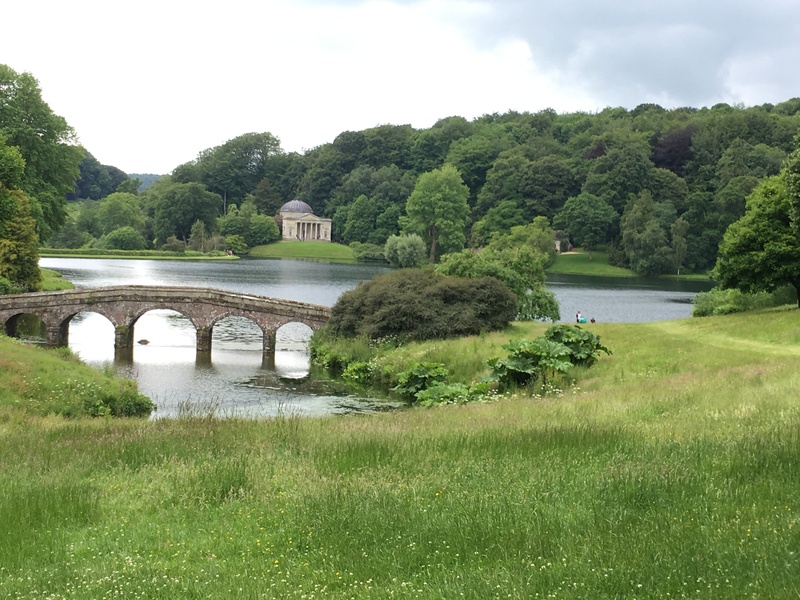 So what do these English gardens have to do with Winterthur? We are embarking on our first outdoor exhibition on Folly! 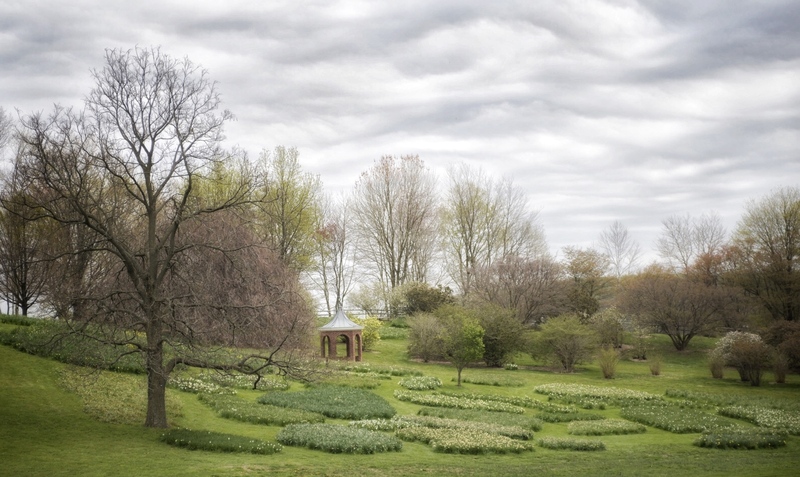 Though we have not used the term verbatim, the Winterthur Garden contains a lot of folly and the Peony Garden is rife with it: two beehives framing the view to the Latimeria Summerhouse, the Mushroom Seat, and George and Lady Liberty flank the path to the Pagoda Gate. 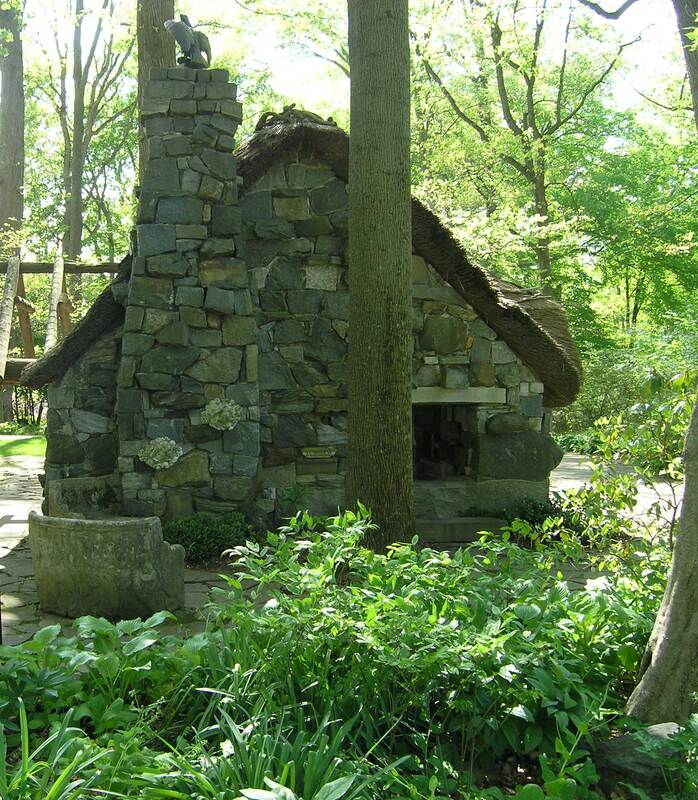 The Sycamore Garden is bookended by the Brick lookout and the Bristol Summerhouse. While both of these are beautiful from a distance they both have gorgeous views out into the landscape. 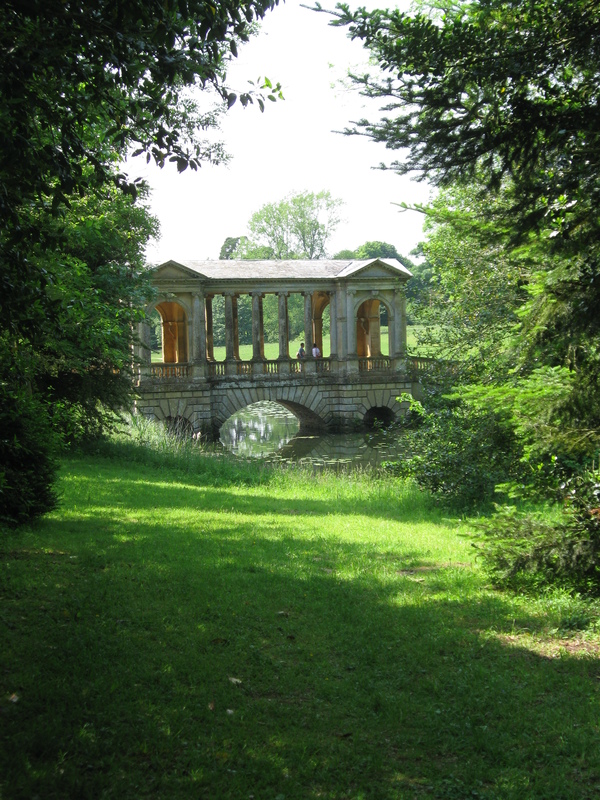 The Bristol Summerhouse looks down onto the fields and pond below and also to the Quarry Bridge, another folly of sorts, while the Brick Lookout directs your eye to the Latimeria Gates at the Pinetum edge and to the Armillary Sphere in the center of the Sundial Garden. 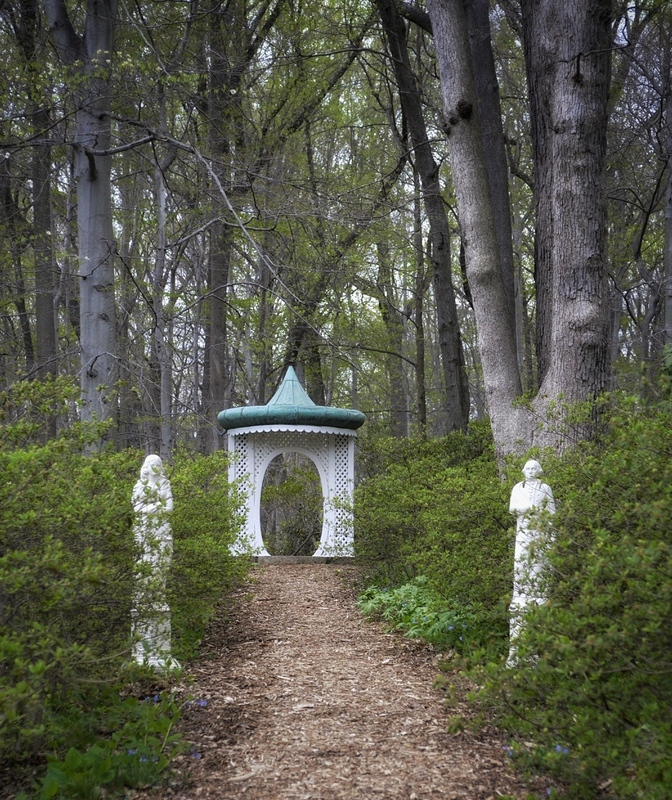 Enchanted Woods is a folly garden within itself with a lot of nature inspired pieces and the repurposing of classical architectural elements from earlier gardens on the estate and from our once working farm. 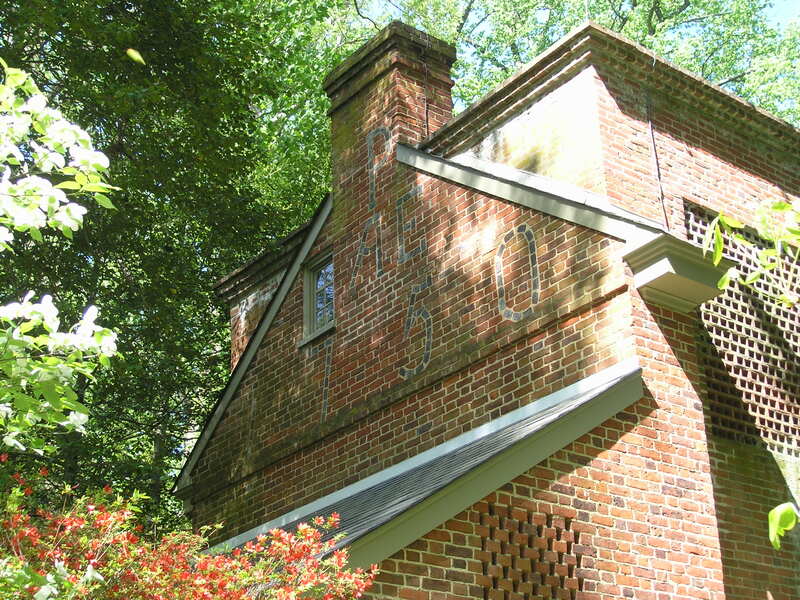 While most of us might cover up an air conditioning unit with shrubbery, HF du Pont used a façade of a building at the edge of Azalea Woods, which we refer to as the 1750 house, to cover up his! Our exhibition, which will open in April 2018, will feature our existing folly along with seven newly created pieces to enhance the views and vistas in the landscape. This blog is just a primer; stay tuned for more information as the exhibition starts to take form!